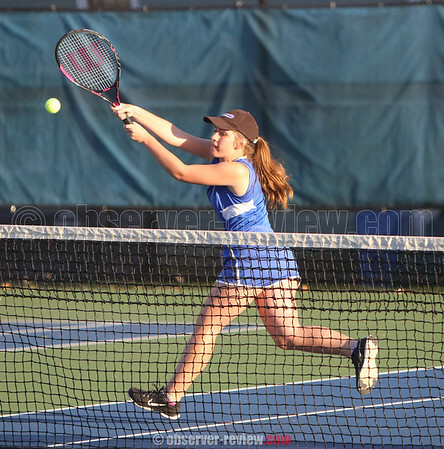 PENN YAN (9/16/16)-The Penn Yan varsity tennis team blanked Newark, 5-0, Wednesday, Sept. 14. Riley Pallar beat Andrea Hoe, 6-2, 6-2. Jenna Curbeau defeated Wiktoria Czekajska, 6-1, 6-1, while Shelby Woodard won against Anabel Darling, 6-1, 6-0. In doubles, Victoria Staff and Marina Coriale beat Kaitlyn Pieters and Cordelia Lalone, 6-3, 6-0. Katy Worden and Brittany Gavigan topped Lauren Mays and Nina Bishop, 6-1, 6-1.